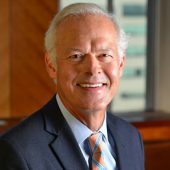 It’s rare for a judge to include pictures in his opinions. It’s also rare for a judge to write visually. But as I make my way through the 10th circuit decisions of Supreme Court nominee Hon. Neil Gorsuch, I see a skill in using visualization as a persuasion tool. In American Atheists v. Davenport, Judge Gorsuch used in his dissent the literary persuasion tool of anthropomorphism. In disagreement that Utah’s roadside crosses are unconstitutional, he takes an otherwise abstract legal test known as the “reasonable observer” and creatively visualizes the existence of such an observer (he calls “our observer”) as he drives down a Utah highway. Does our observer see, Judge Gorsuch asks, the name of a fallen trooper’s name on the crossbar? 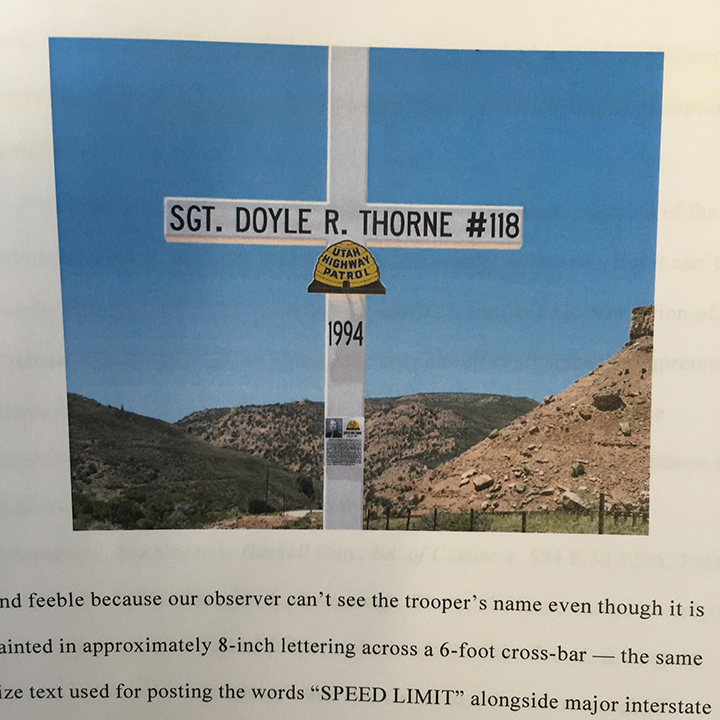 He includes a picture of it in his dissent to point out you can’t miss the trooper’s tribute unless our observer is presumed to have “selective and feeble eyesight.” Our observer, he goes on, would have to be not only blind but also a speeding “hot-rodder” to miss the trooper’s name. In other words, this isn’t an unconstitutional establishment of religion. It’s a roadside tribute to fallen trooper. Judge Gorsuch’s writing art makes his opinions not only a legal narrative, but a literary one, a welcome departure from the norm of legal writing. He writes to educate and does so artfully.